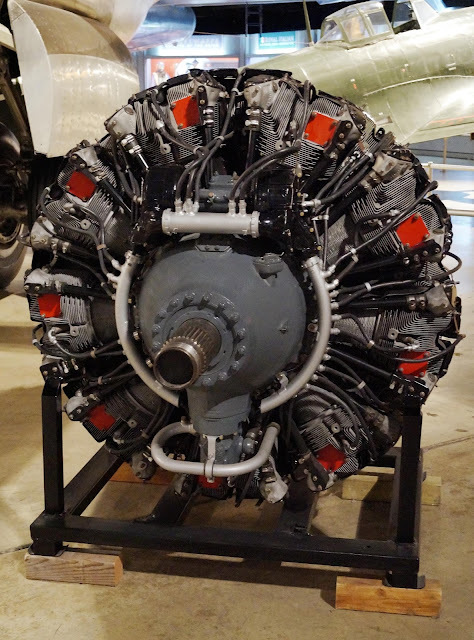 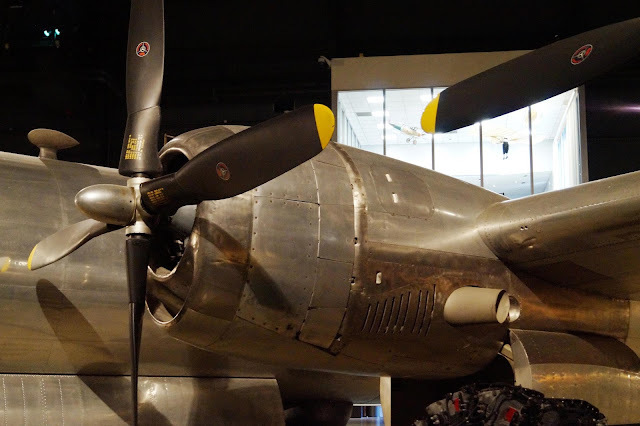 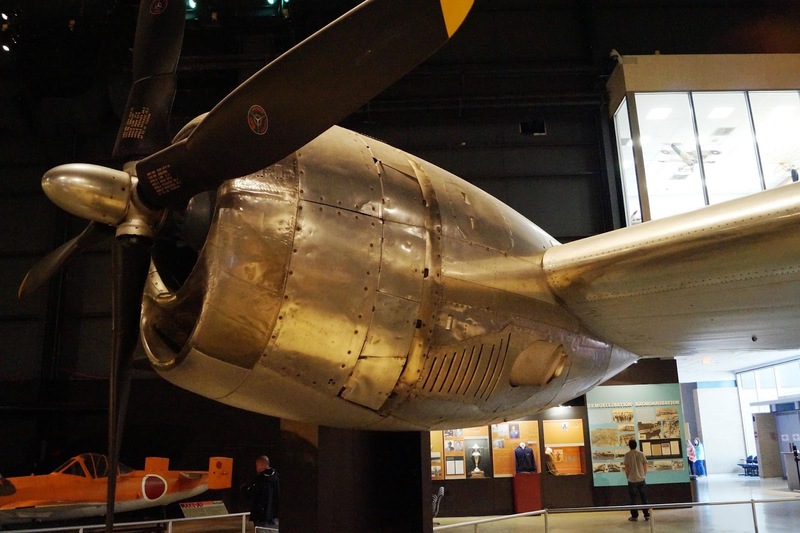 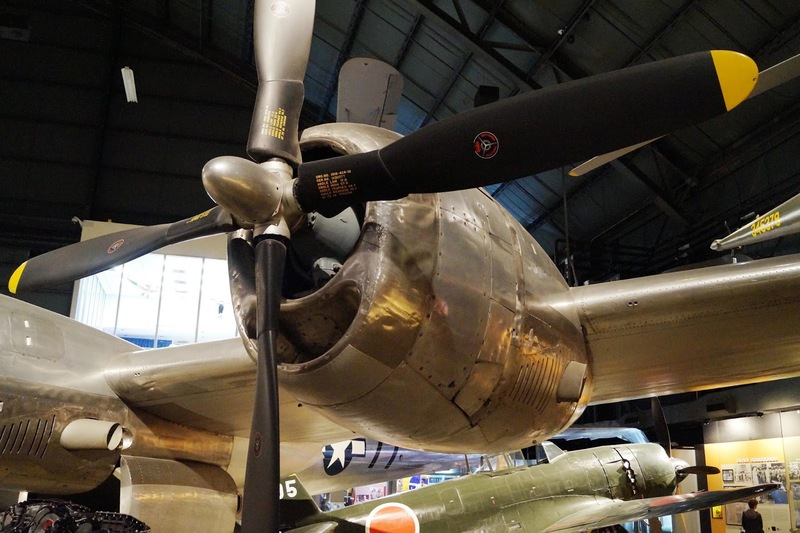 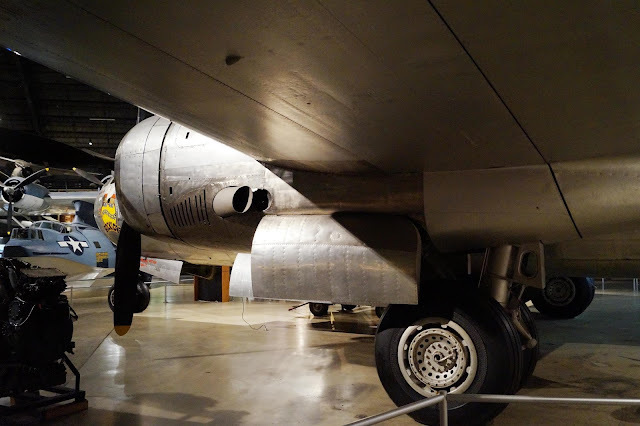 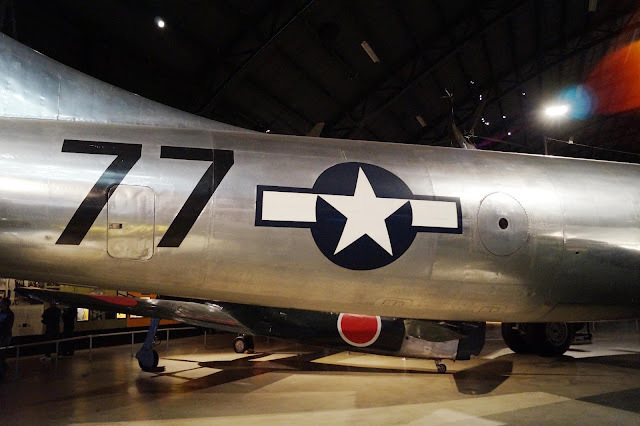 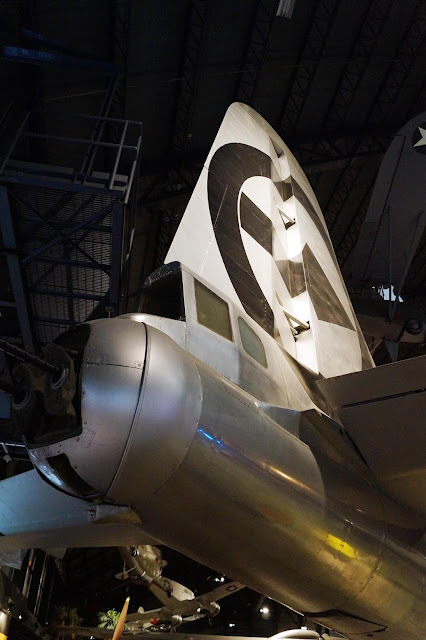 Location: USAF Museum, Dayton, Ohio, USA 2014; National Air and Space Museum, Washington DC, USA 2012; Fantasy of Flight Museum, Orlando, Florida, USA, 2013. 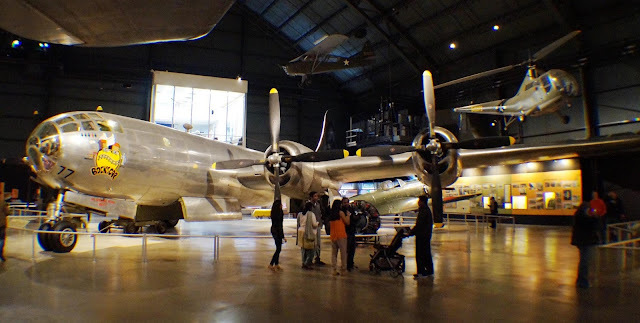 Comments:The Boeing B-29 Superfortress is a four-engine propeller-driven heavy bomber designed by Boeing flown primarily by the United States during World War II and the Korean War. 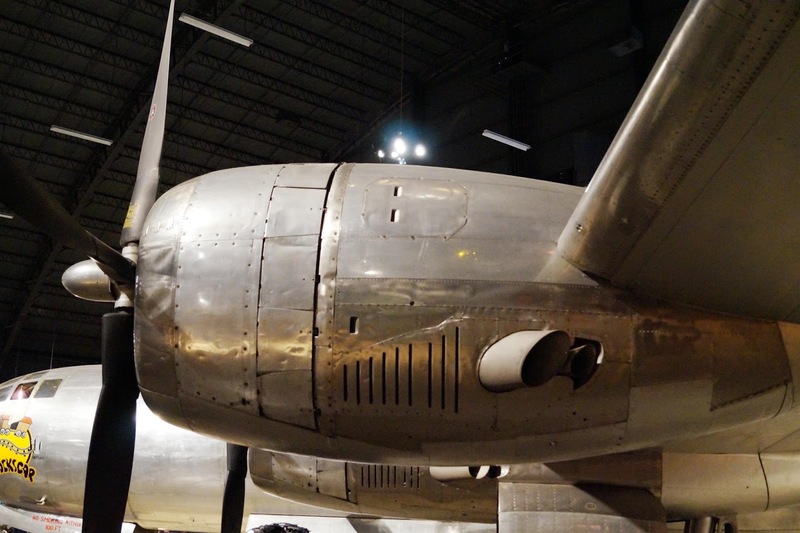 It was one of the largest aircraft operational during World War II and very advanced for its time. 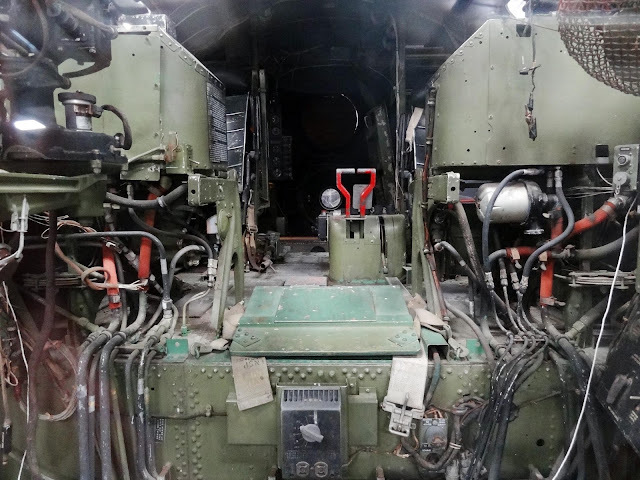 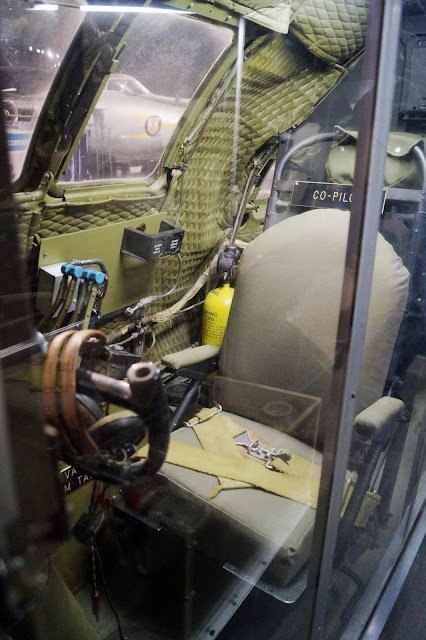 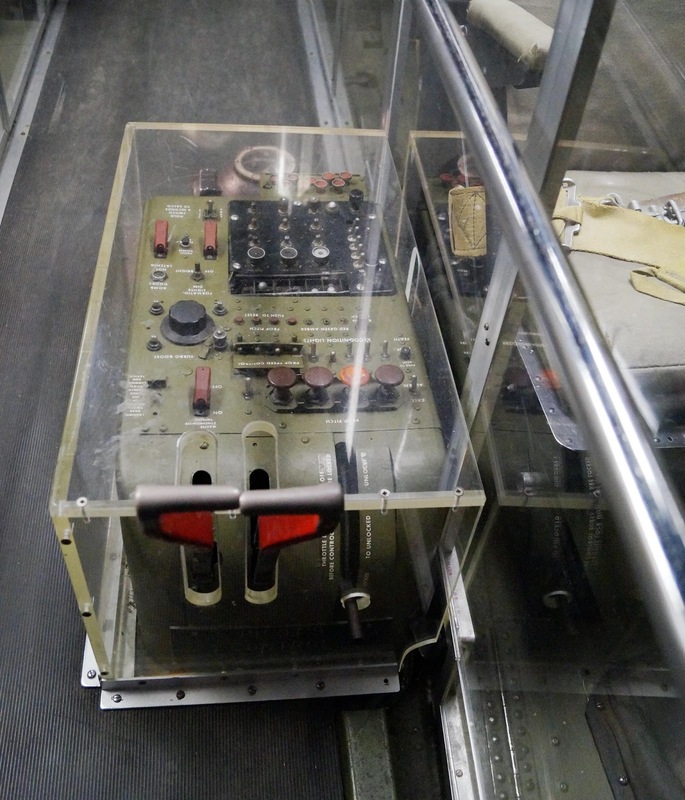 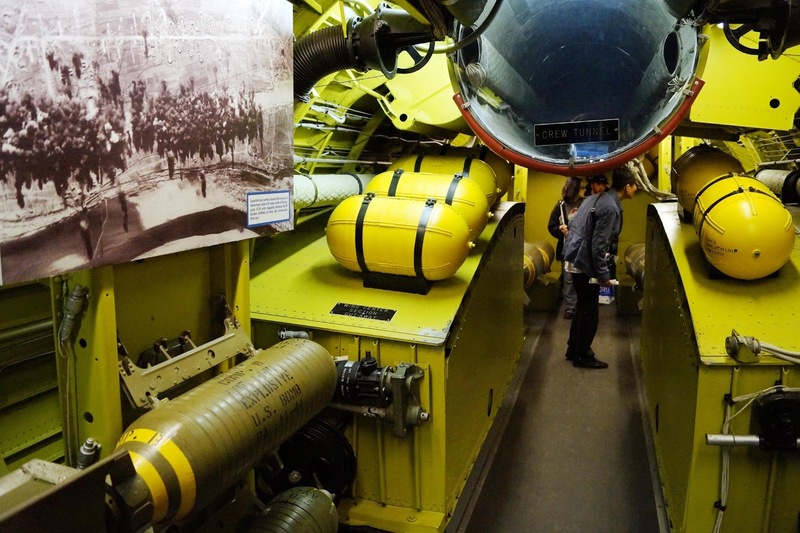 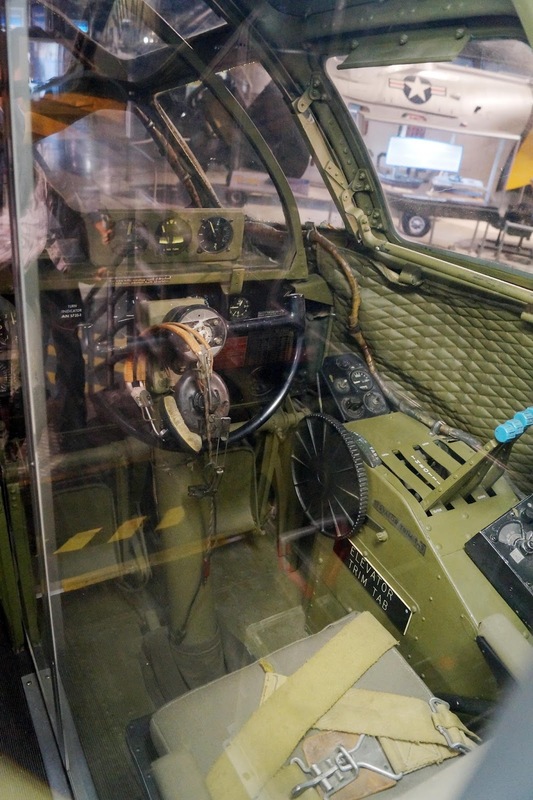 It featured a pressurized cabin, all dual wheeled, tricycle landing gears, and a remote, electronic fire-control system that controlled four machine gun turrets. 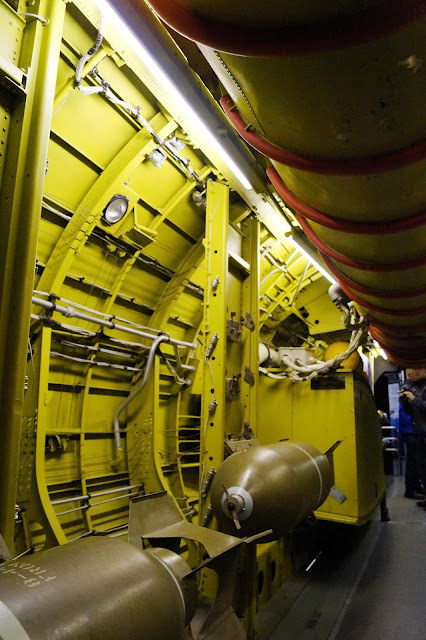 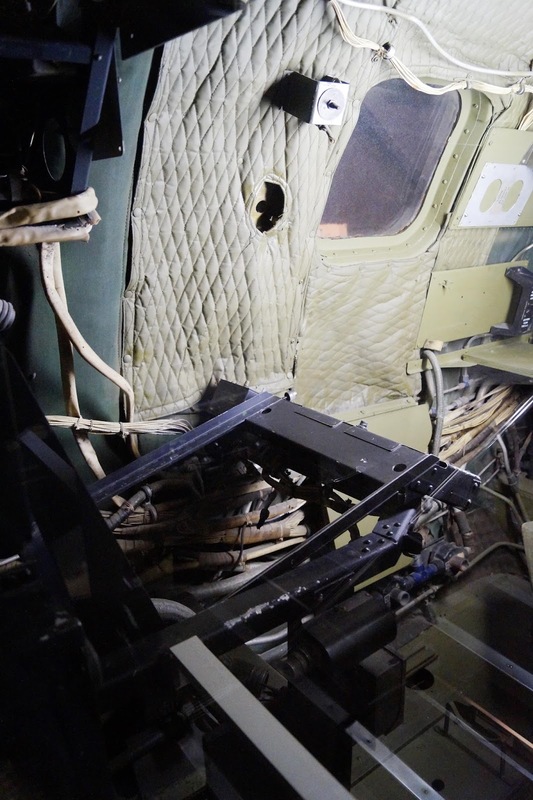 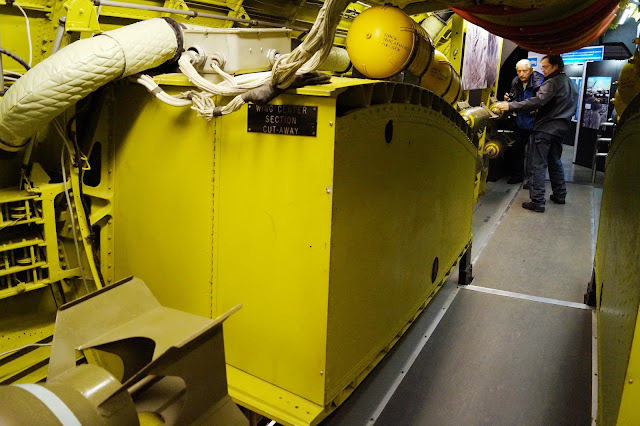 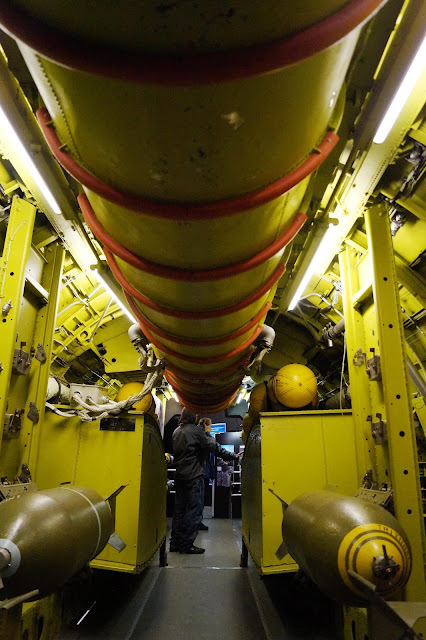 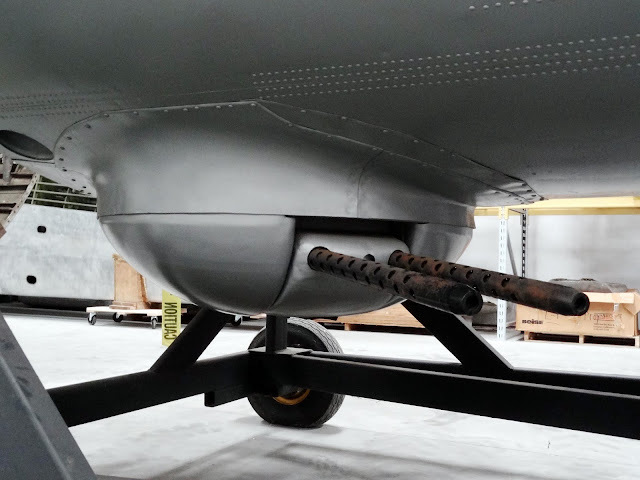 A manned tail gun installation was semi-remote. 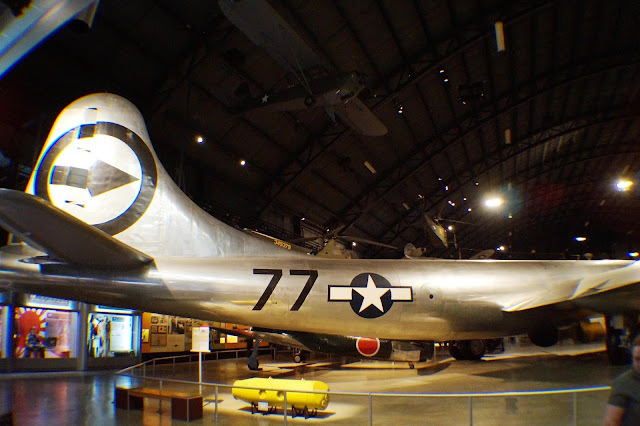 The name "Superfortress" continued the pattern Boeing started with its well-known predecessor, the B-17 Flying Fortress. 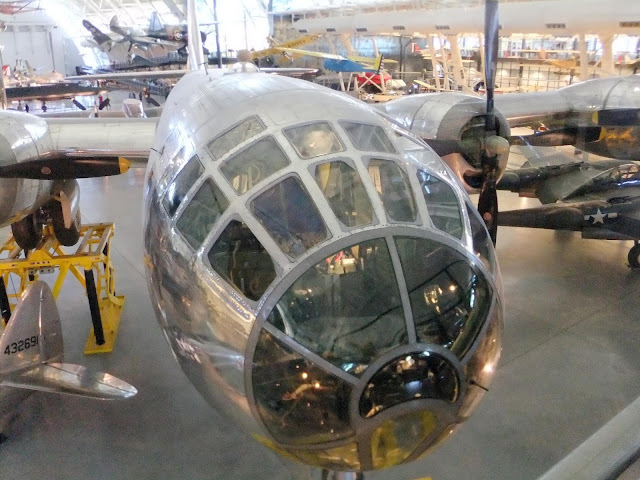 Designed for high-altitude strategic bomber role, the B-29 also excelled in low-altitude nighttime incendiary bombing missions. One of the B-29's final roles during World War II was carrying out the atomic bomb attacks on Hiroshima and Nagasaki. 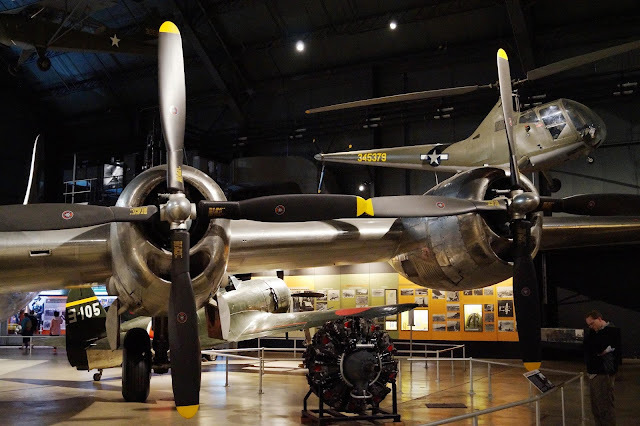 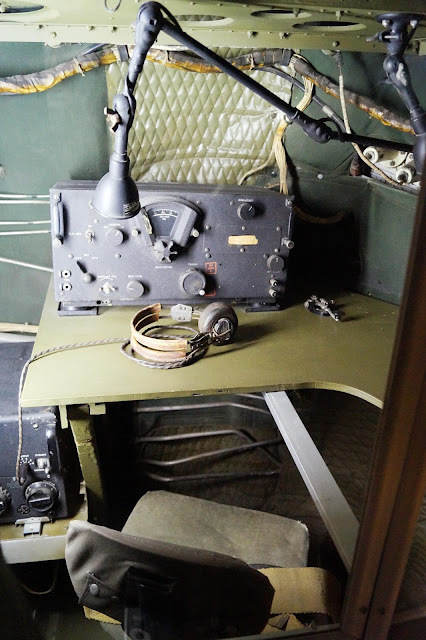 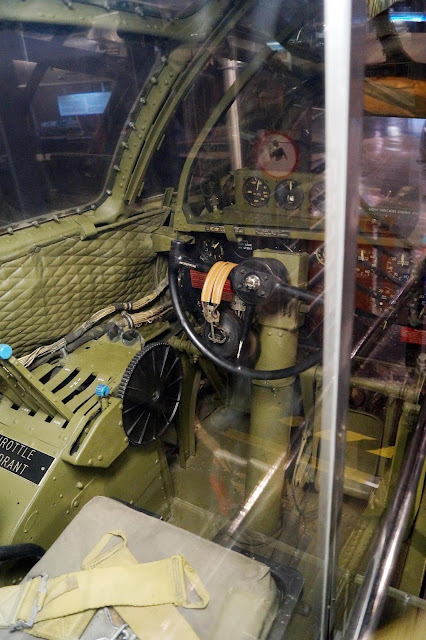 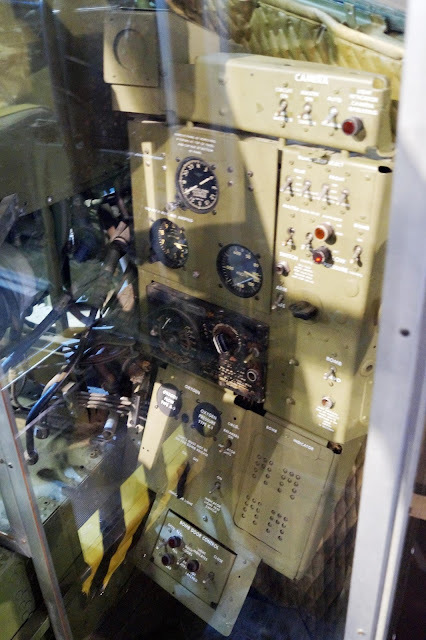 Due to the B-29's highly advanced design for its time, unlike many other World War II-era bombers, the Superfortress remained in service long after the war ended, with a few even being employed as flying television transmitters for the Stratovision company. The B-29 served in various roles throughout the 1950s. 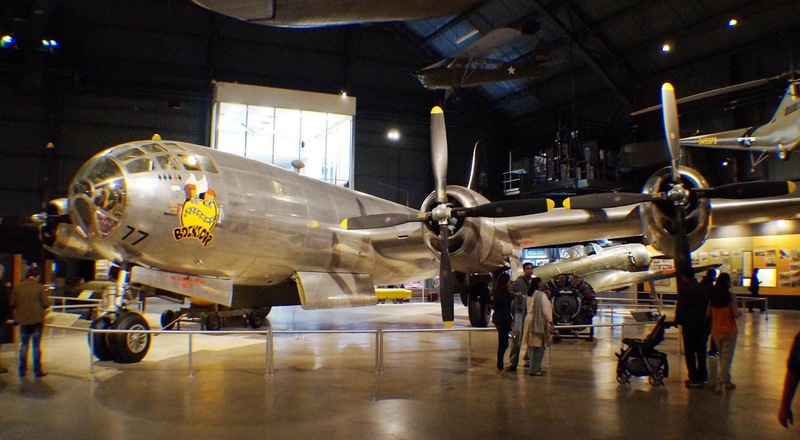 The Royal Air Force flew the B-29 as the Washington until phasing out the type in 1954. The Soviet Union produced an unlicensed reverse-engineered copy as the Tupolev Tu-4. 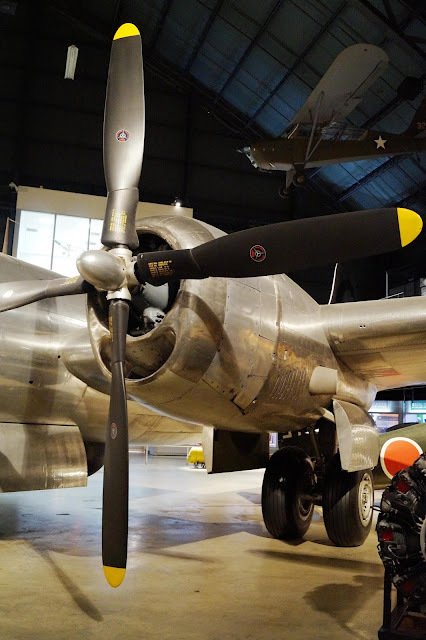 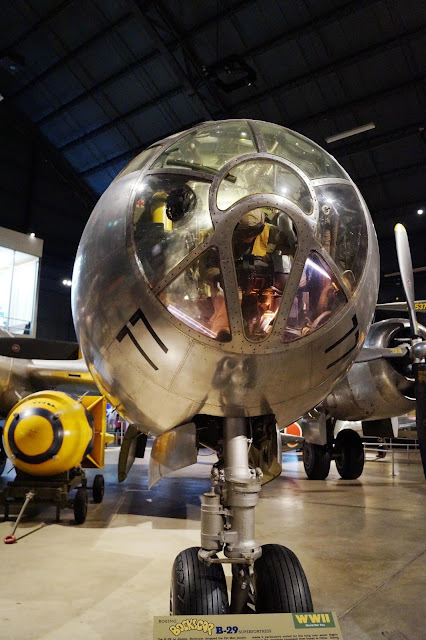 The B-29 was the progenitor of a series of Boeing-built bombers, transports, tankers, reconnaissance aircraft and trainers including theB-50 Superfortress (the first aircraft to fly around the world non-stop) which was essentially a re-engined B-29. 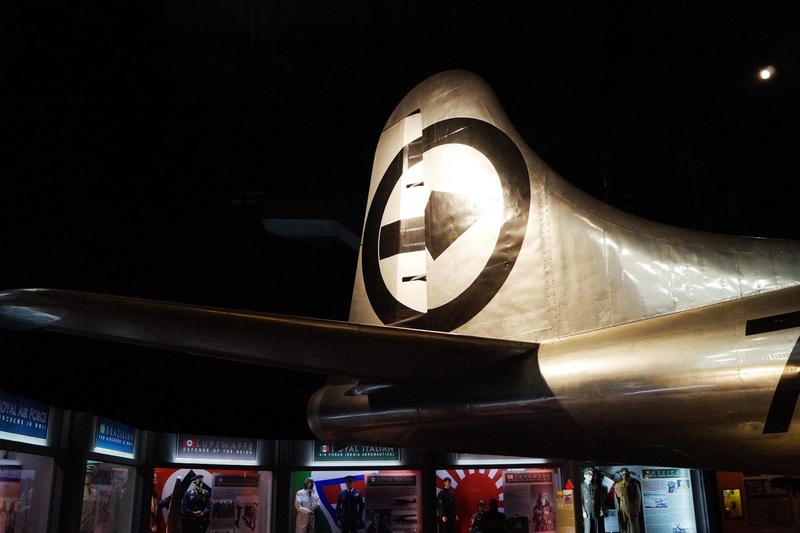 The type was finally retired in the early 1960s. The B-29 production total was 3,970 aircraft. 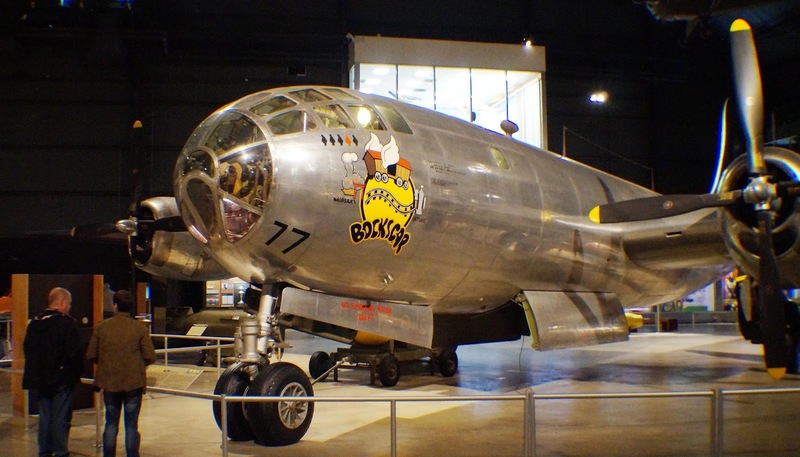 Dozens of B-29s remain as static displays but only one example, Fifi, remains on flying status. 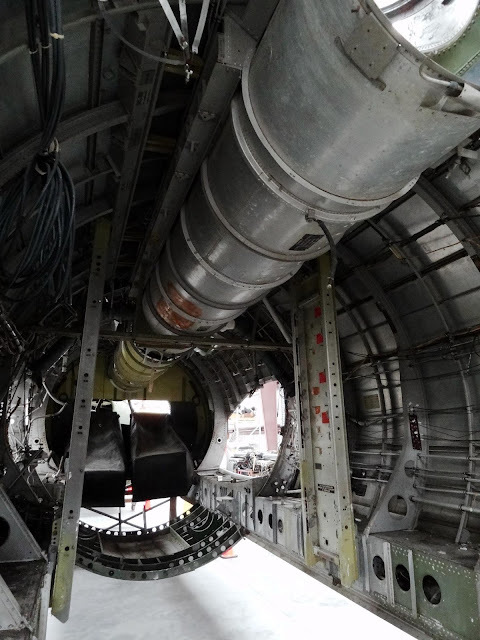 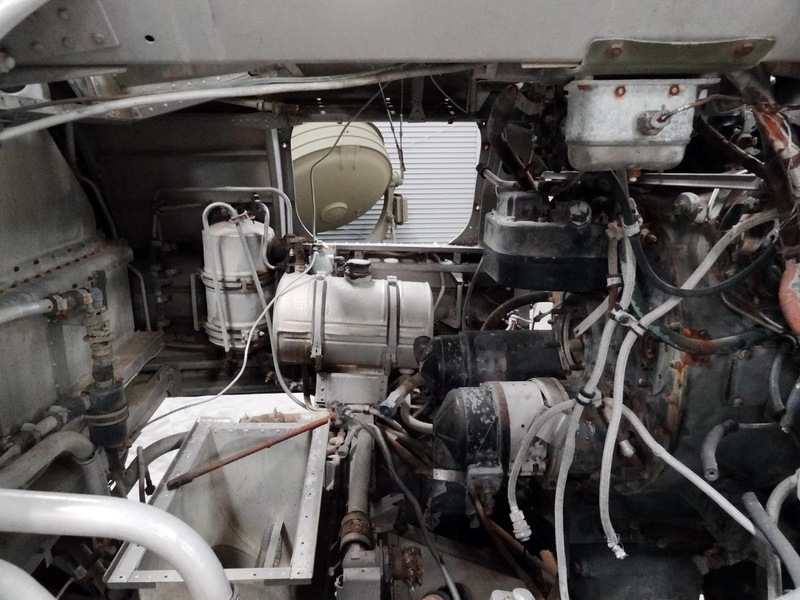 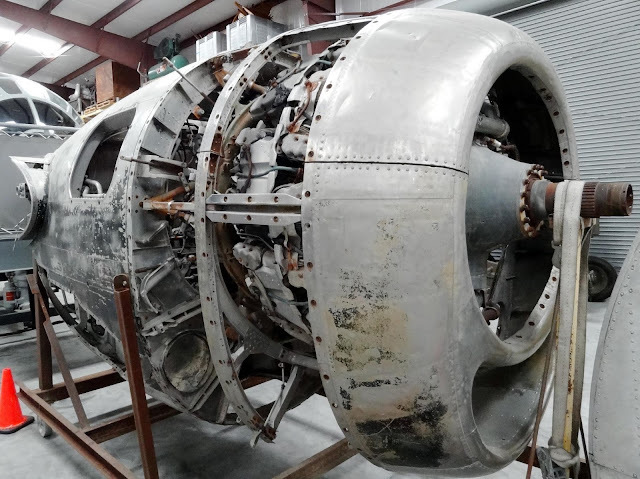 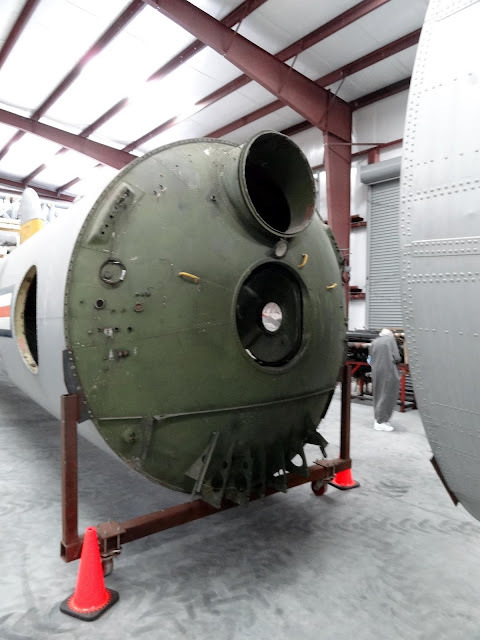 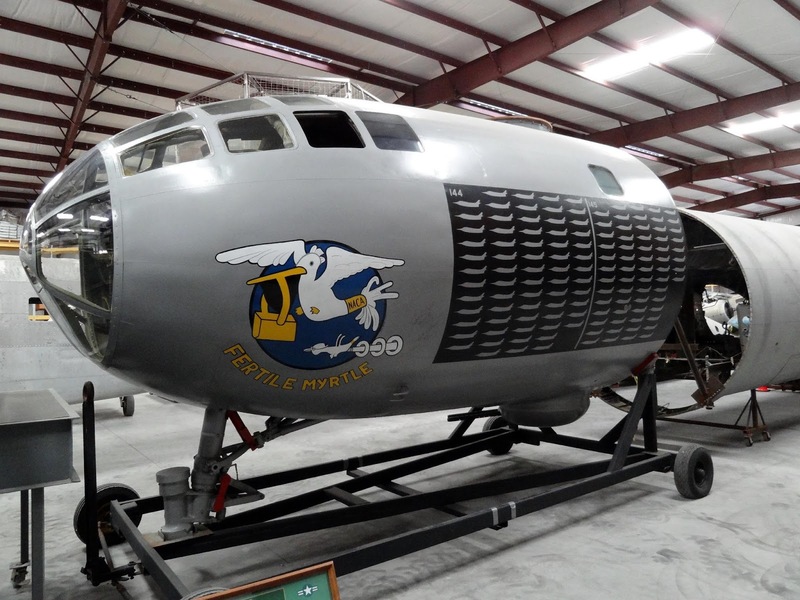 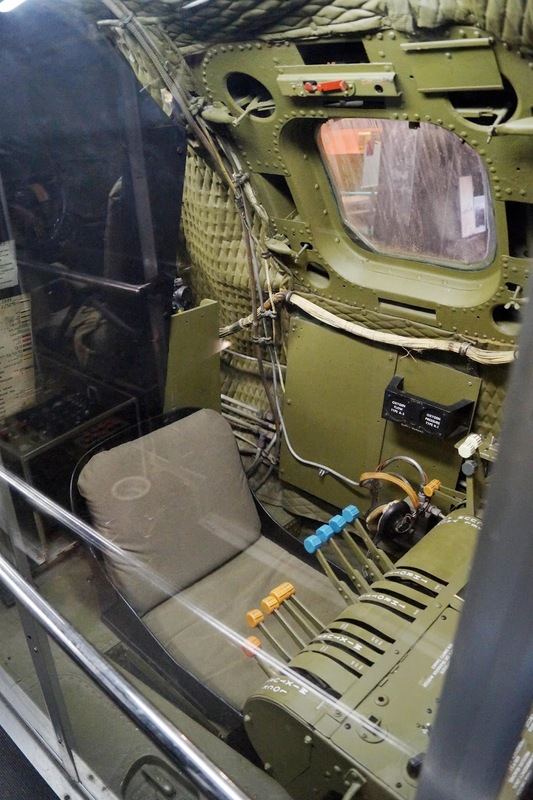 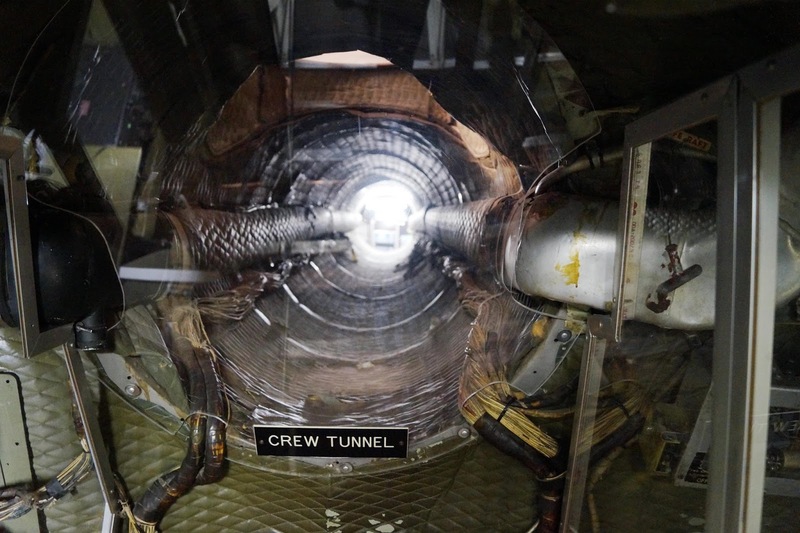 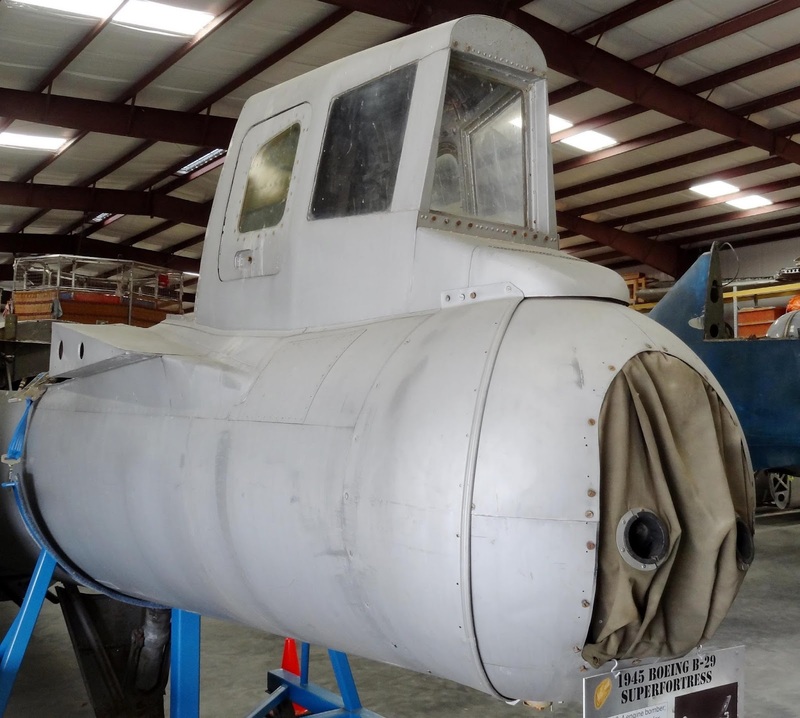 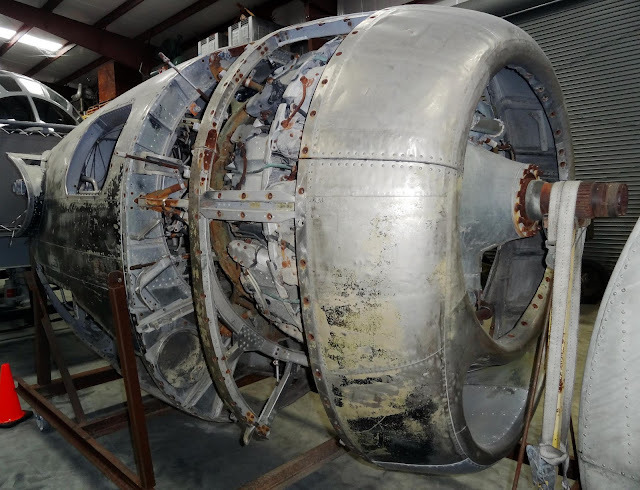 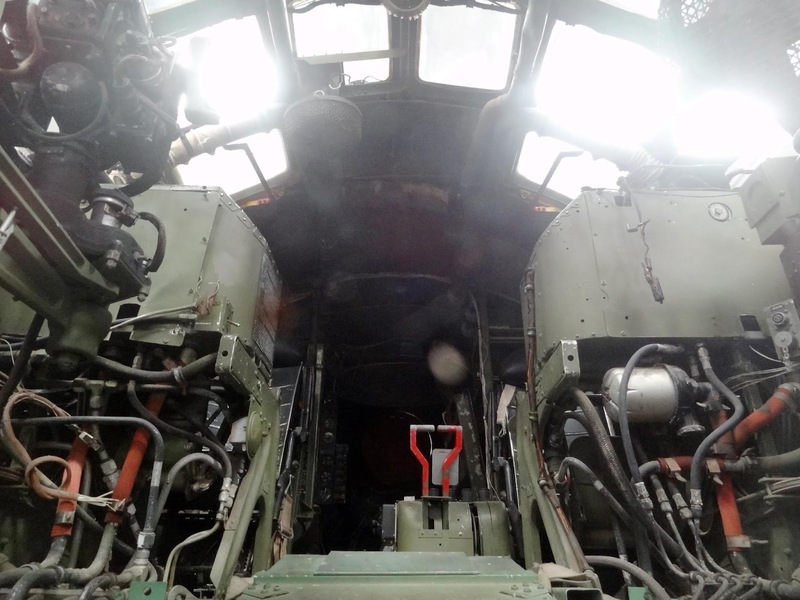 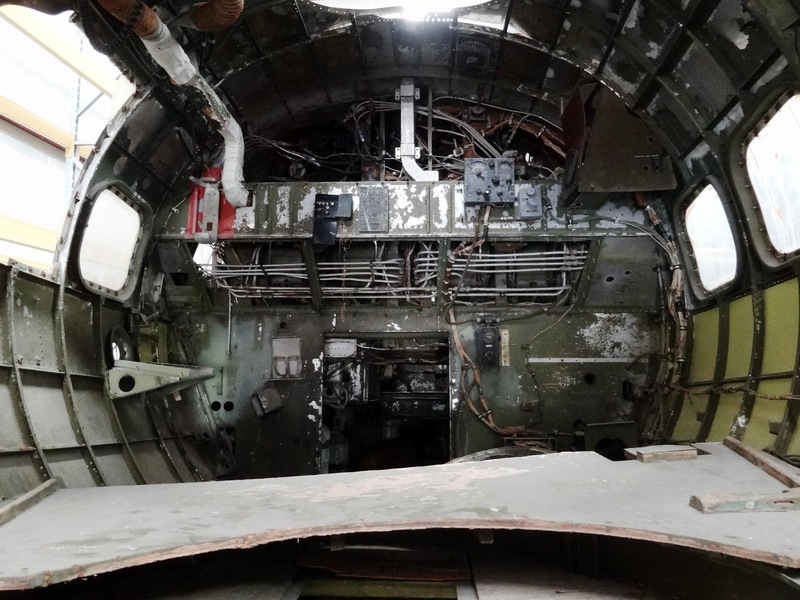 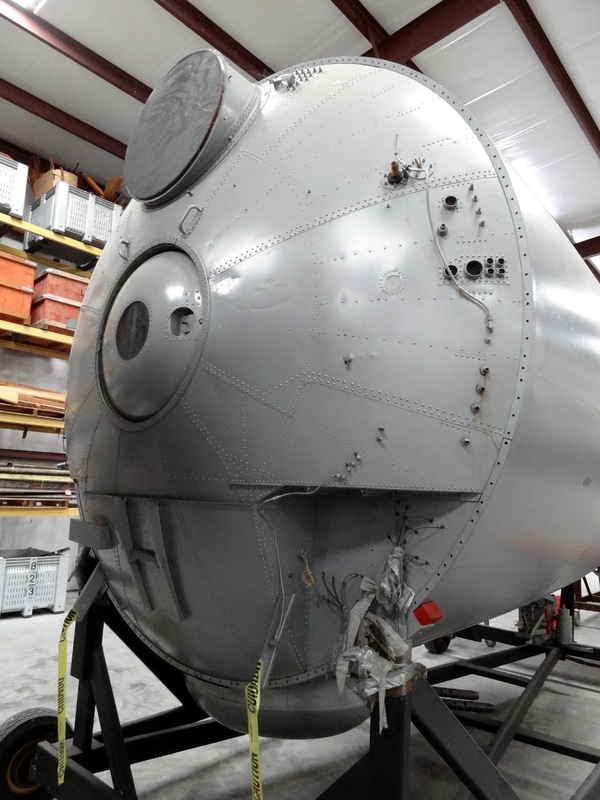 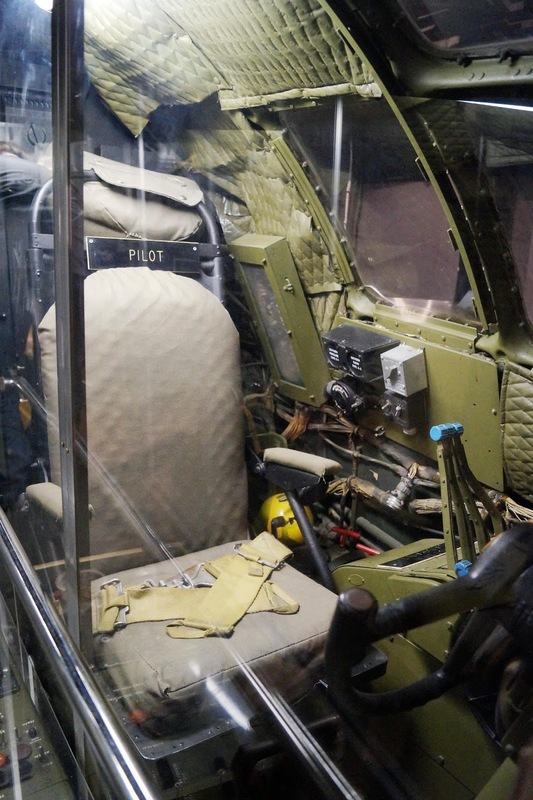 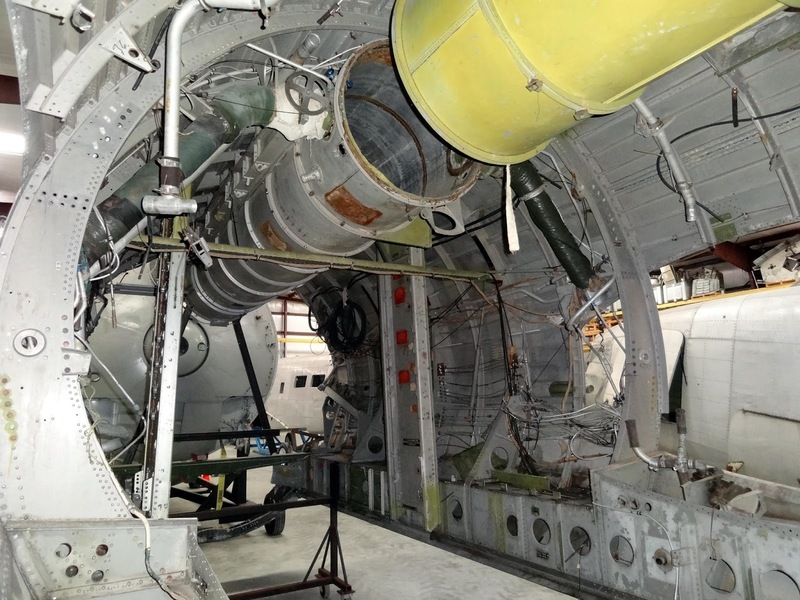 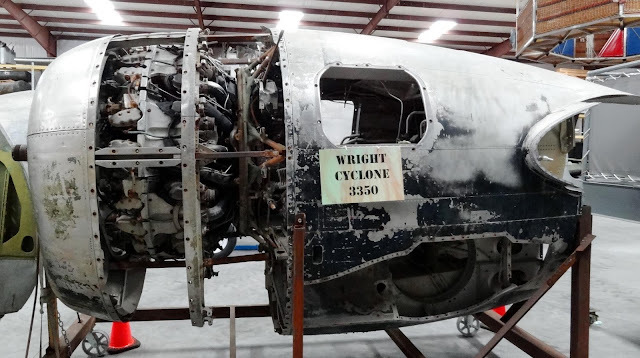 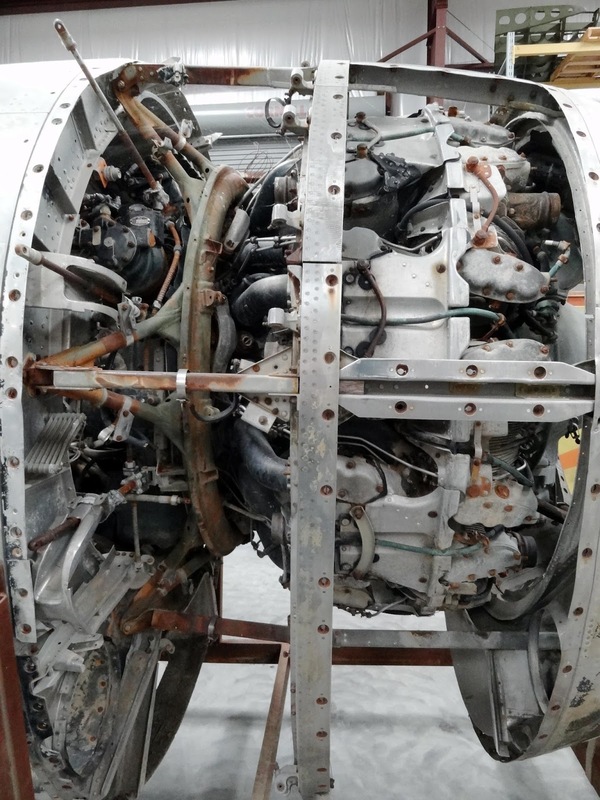 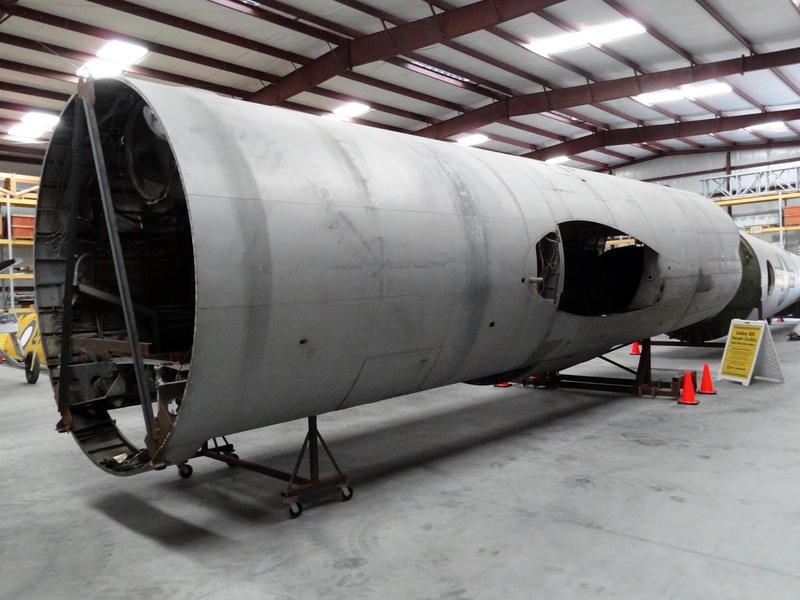 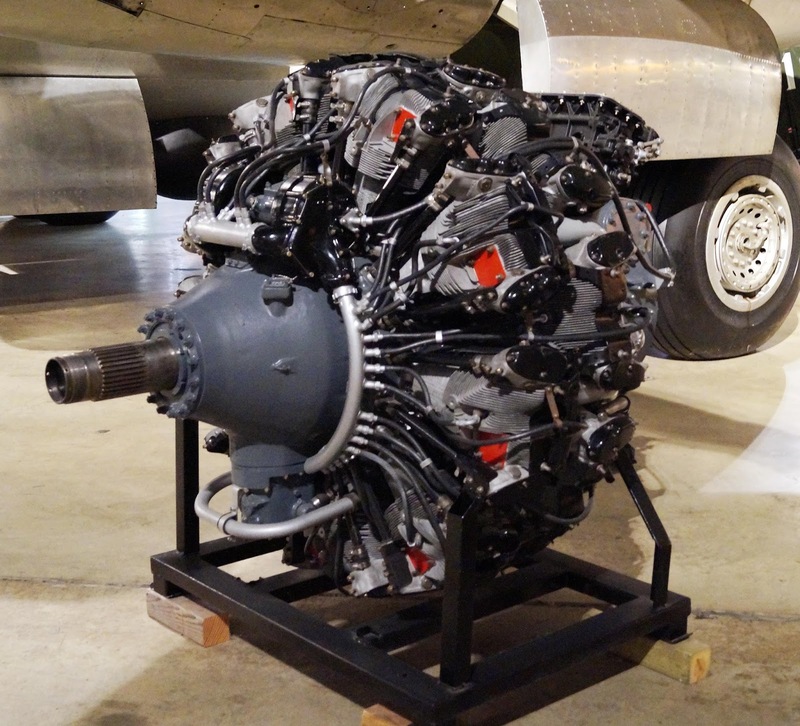 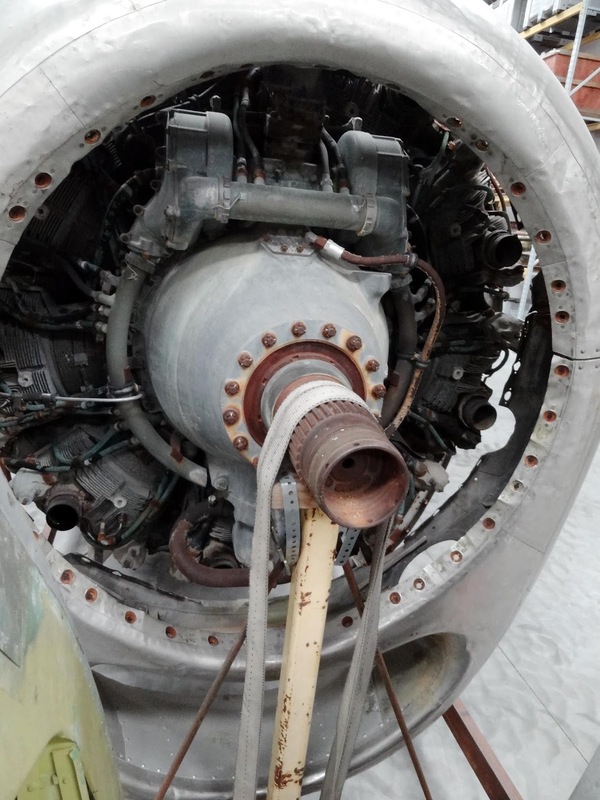 As of 2015, another B-29 is being restored for flight. 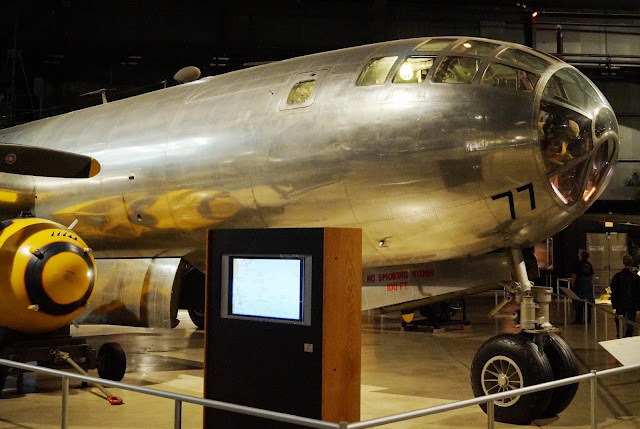 A transport developed from the B-29 was the Boeing C-97 Stratofreighter, first flown in 1944, followed by its commercial airliner variant, the Boeing Model 377 Stratocruiser in 1947. 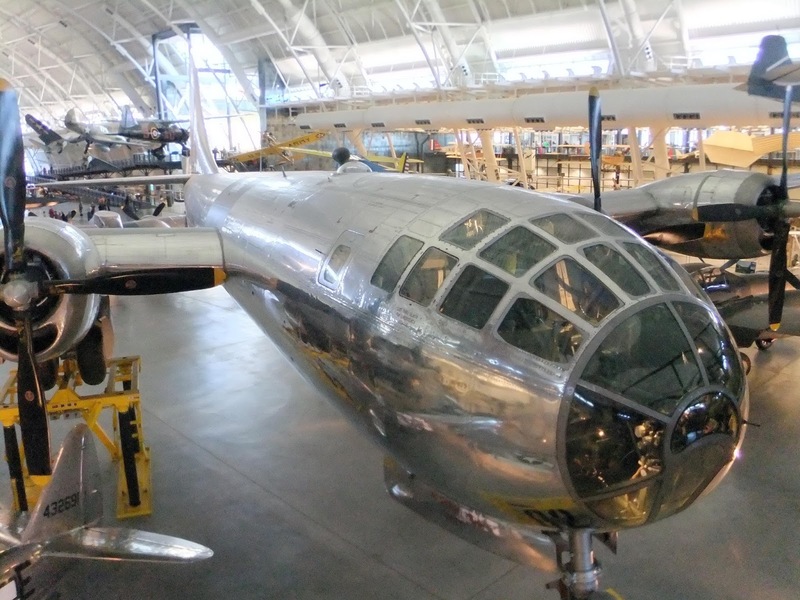 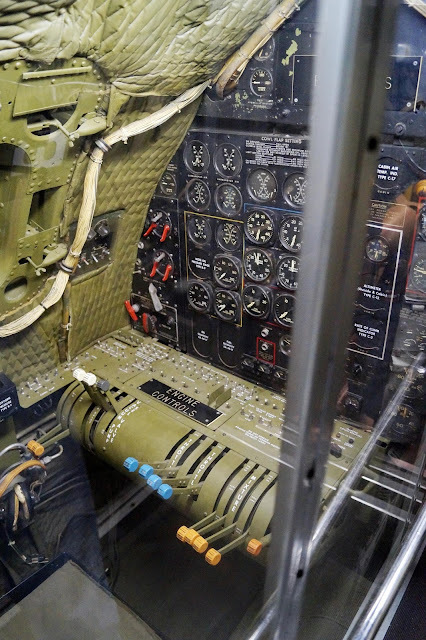 This bomber-to-airliner derivation was similar to the B-17/Model 307 evolution. 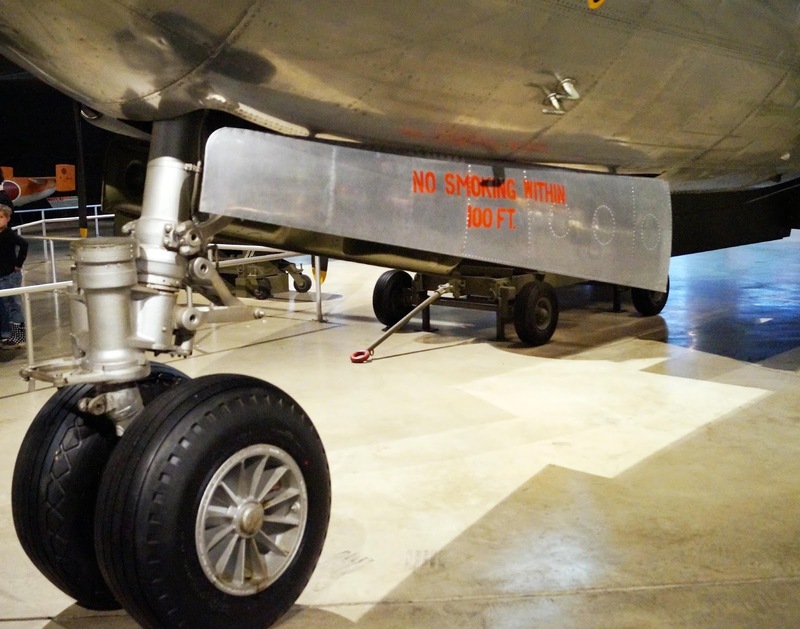 In 1948 Boeing introduced a tanker variant of the B-29 as the KB-29, followed by the Model 377-derivative KC-97 introduced in 1950. A heavily modified line of outsized-cargo variants of the Stratocruiser is the Guppy / Mini Guppy / Super Guppy which remain in service today with operators such as NASA. 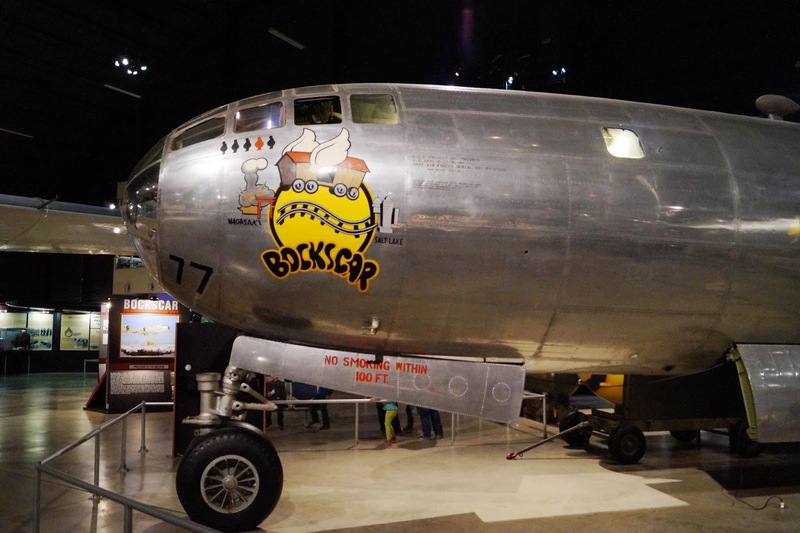 Perhaps the most famous B-29s were the Silverplate series, which were modified to drop atomic bombs. 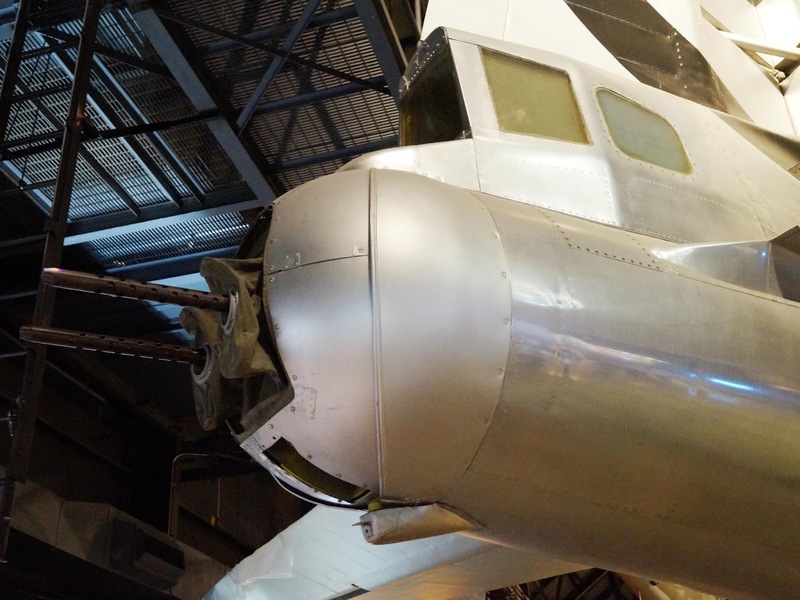 They were also stripped of all guns except the tail gun to be lighter. 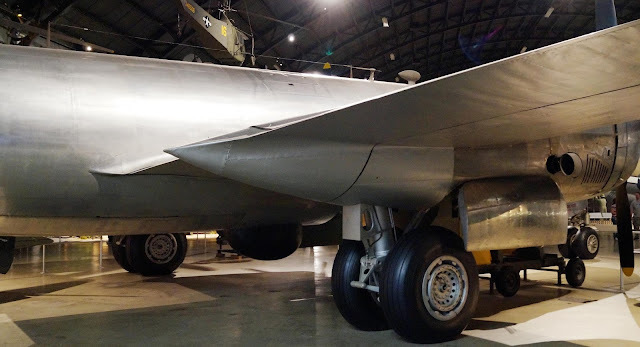 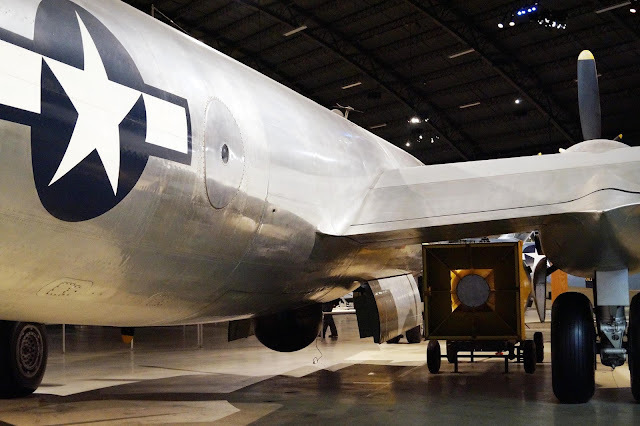 The Silverplate aircraft were handpicked by Lieutenant Colonel Paul W. Tibbets for the mission, straight off the assembly line at the Omaha plant that was to become Offutt Air Force Base. 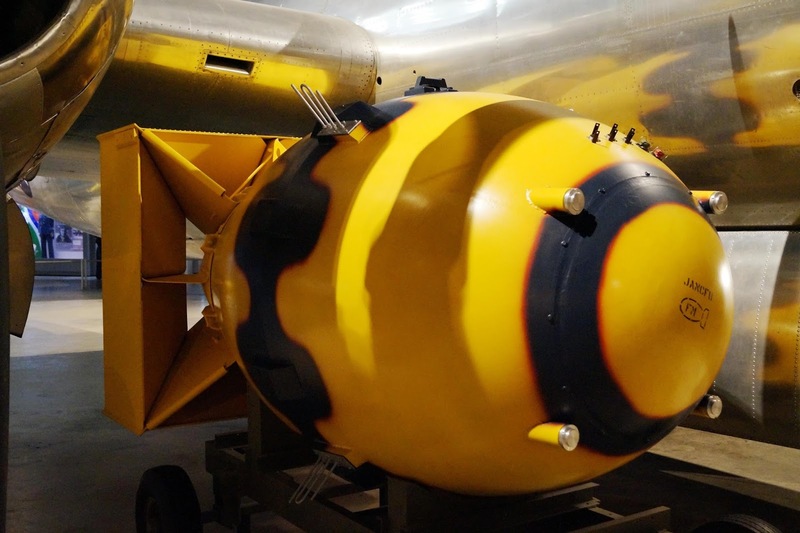 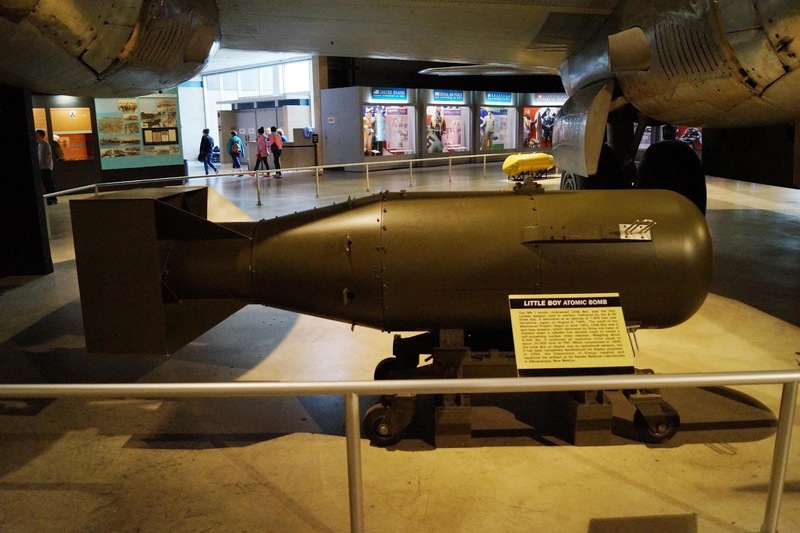 Enola Gay, flown by Tibbets, dropped the first bomb, called Little Boy, on Hiroshima on 6 August 1945. 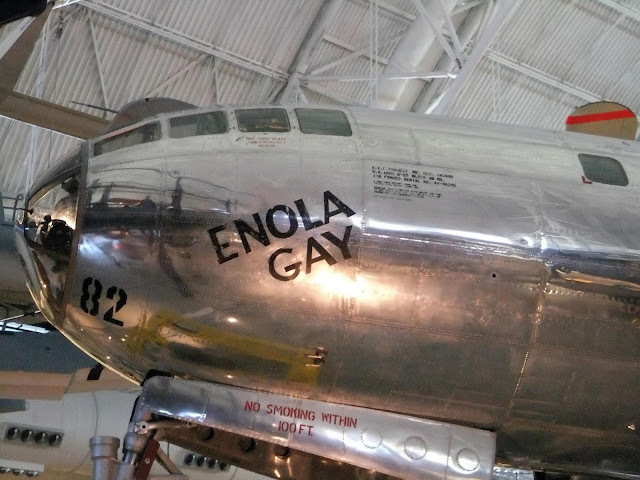 Enola Gay is fully restored and on display at the Smithsonian's Steven F. Udvar-Hazy Center, outside Dulles Airport in Washington, D.C. Bockscar dropped the second bomb, called Fat Man, on Nagasaki three days later. 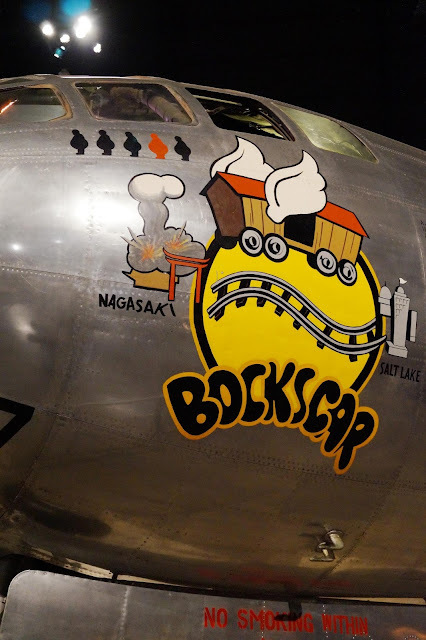 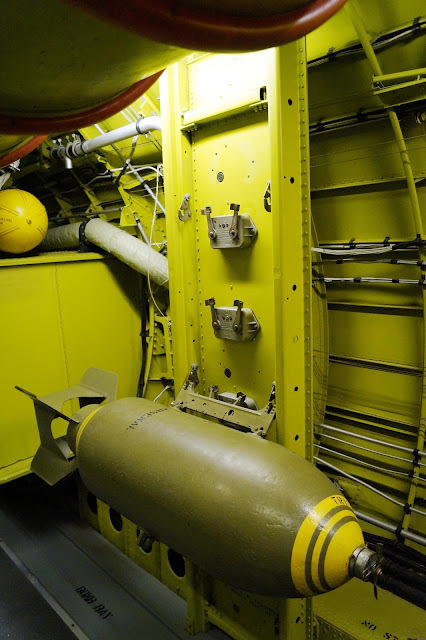 Bockscar is on display at the National Museum of the United States Air Force. (Source: https://en.wikipedia.org/wiki/Boeing_B-29_Superfortress) .